Sunil Mittal who indirectly developed people’s mindset towards telecommunication by providing a best network services. He is the founder and chairman of “Bharati Airtel Enterprises” which is a leading network in India. Bharati Enterprises has interests in telecom, retail, realty, financial services and agro-products. It has joint ventures with many global leaders such as Singtel, SoftBank, AXA and Del Monte. Sunil not only playing a role of founder for Bharati Enterprises but also performes many other roles. He is presently the vice chairman of the International Chamber of Commerce (ICC), also serves on the Prime Minister of India’s Council on Trade& Industry, World Economic Forum’s International Business Council, Telecom Broad of International Telecommunication Union (ITU), Commissioner of the Broadband Commission, and in research council as well as member of the India-Us, India-Uk and India-Japan CEO forums. Beginning he worked as the President of the Confederation of Indian Industry (CII, 2007-08), the large industry body in India. He is a great entrepreneur and philanthropist. Sunil Bharathi Mittal was born in the year 1957, October 23. Born to a Punjabi Aggarwal family, his father Sat Paul Mittal, was a politician he has been the Member of Parliament, Rajya Sabha (INC) from Punjab. 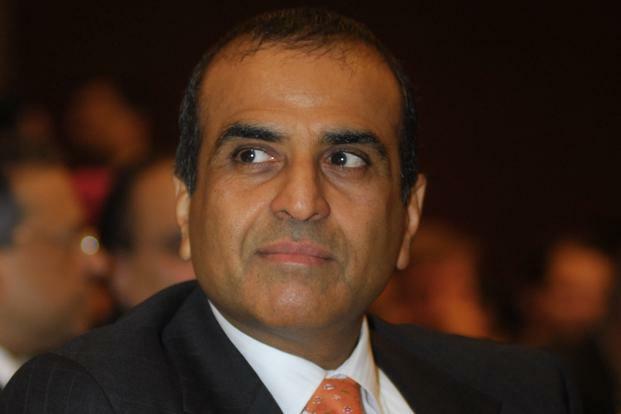 Sunil Mittal completed his schooling in Wynberg Allen School in Mussoorie, and graduated from Punjab National University in the year 1976, Chandigarh, and also a Bachelor of Arts and Science was done in Arya College, Ludhiana. Sunil feels that a responsible corporate must give something back to his community in which it operates. Bharati foundation operates around 254 schools which are provided with best infrastructures, holistic education to more than 50,000 under privileged children in rural India, and also provides uniform and mid-day meals for many poor children. According to Barron’s Magazine, Sunil is the top 25th Philanthropists in the world. This Indian telecom tycoon is the world’s fourth-largest telecom by number of subscribers, and also crossed milestone of 300 million customers in 2014. Airtel sold a chunk of it’s African towers to American tower. He also teamed up with banker Uday Kotak to expand into banking by using Airtel services to pay in banks as payments. India’s most highest second civilian award Padma Bhushan was crowned to Sunil Mittal, INSEAD Business Leader for the World Award 2011, NDTV profit business leadership Award 2011 for Corporate Conscience, in the year 2009 by The Kiel Institute, Germany and the US-India Business Council also honored him with the Global Vision Award 2008. An alumini of Hardvard Business School. He is a man with many intellectual ideas and takes more responsibilities not only about his company but also about the society. This entry was posted in S and tagged Biography of Bharat Airtel, Biography of Bharat Airtel founder, founder of Bharati Airtel Enterprises, sunil Bharat Airtel founder, Sunil Bharathi Mittal. Bookmark the permalink.